The customer that I personally generate from outside the company is happier, easier to do business with, almost always pays all the money, and generates unsolicited flattering CSI remarks and referrals. Everyone who has a product or service to sell wants to reverse a dwindling client base. Your ethical message and strong reputation encourages loyalty while enhancing your client base. Sales Effectiveness will teach the importance of every sensitivity that can encourage the client to part with their money. You must become an expert in the eyes of the client regarding your vocation. Your product and service presentations must be the best on the planet. Your confidence must be obvious and compelling. Your compassion and encouragement rewarding. This is not about your company, product or service. This is about YOU! If your personal image is not constantly professional, forget client development. Why? Customer mutany. Personal improvement is a private and personal evaluation of yourself designed to groom and polish you to be believable with desirable well qualified clients (the carriage trade). Alex Beloff III is a career specialist in the field at the point of sale. He has developed the concepts you should integrate into your sales career. Client development, sales effectiveness, personal improvement and aftermarket income must be mastered now. It will be a critical factor in your sales success today and in future years. With the Alex Beloff III concepts, you will have financial independence and a successful career. He says, I am motivated by a fat pay check which I am personally responsible for generating! He has used the concept ideas himself at the point of sale and knows what works and what does not. He has the awards, achievements and documented records to verify his successful sales career. Why does Alex wait for a new customer to ask for his business card? What does Alex do differently at the car shows and why? How does he make the potential customer comfortable in his office? What did he do to perfect his product presentation? What is his controlled closing environment? 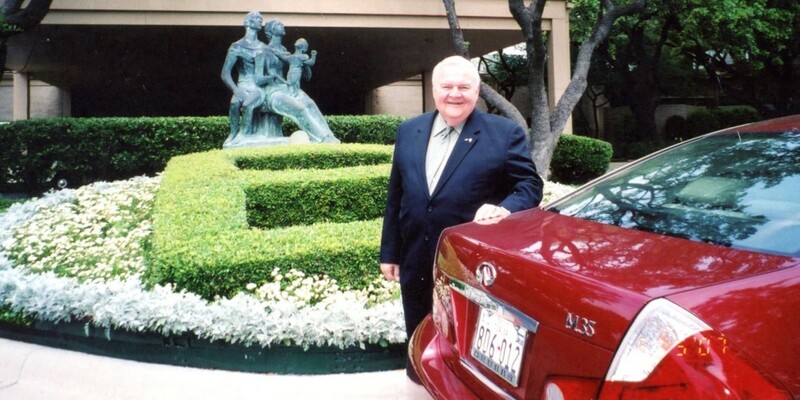 After a lifetime in the luxury and fine car business, he retired in 2007 and founded Alex Beloff III LLC. If you are wondering why you have never been exposed to my concepts until now, it’s because after a lifetime of study, research and developing sound concepts that work, I was not anxious to share them with anyone else. Most sales people could not do it if I showed them because it involves work, discipline and an attentiveness to my owners that even to this day many see littlevalue. The future is extremely promising for those of you who master my concepts. Why, because you have no one in your way! The benefit to me is I have rarely had time to take an up or wait on a new customer in my career.